Elecom is one of the well-known companies to release corega-ethernet-4-ports-usb-hub-shares-your-printer-and-scanner-in-network/">different kinds of products. 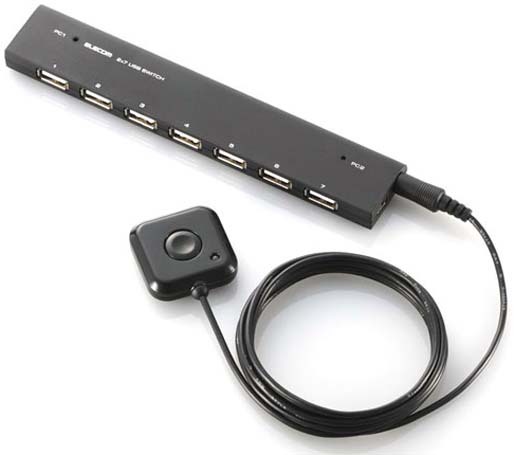 As it is, it has released today two USB switches with a 2 and neko-%E2%80%93-usb-hub-turns-cat/">7 port USB Hub. These hubs have brought many features to make you stress free. usb-4port-soccer-hub-in-the-market-for-world-cup/">Wan to know about USB 4port Soccer Hub ? With these devices you can how-to-share-files-between-mac-and-windows-via-internet/">connect and share from two to seven USB devices like scanner, printer with two PCs. When you use this feature, you don’t need any private how-to-change-network-settings-in-a-moment/">network installation.